Take a look at the list of the freshest picks of our deal hunters including a 4 nights all inclusive Cancun vacation. Book now and travel on your Mexico beach getaway between August 16 and November 15 2015. Browse further down in the table and you can book cheap domestic flights nationwide with Virgin America from $69 one way, the Crown Reef Beach Resort in Myrtle Beach from $75 per nights, summer flights to major cities in Europe with Norwegian Air Shuttle from $281 one way and more. Act fast, such deals may sell out in a glance! 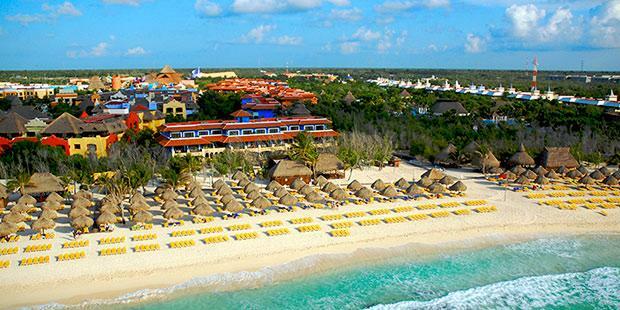 The Cancun vacation we have found includes a round-trip airfare from Fort Lauderdale to Cancun, 4 nights stay at the Iberostar Paraiso Beach Del Mar Resort, all inclusive services plus and taxes and fees. The hotel is located between Cancun and Playa del Carmen, on the white beaches of Mexico, surrounded by beautiful tropical gardens. It is an all inclusive resort with six restaurants, seven bars, shows, discos, live music and lots of activities for the whole family. Al the rooms and suites are air conditioned, a terrace or bamcony, mini bar, TV with cable channels and a lot more comfortable amenities. Other merchants might have similar offers for even better prices. Select some merchants and compare prices to see what you can find!